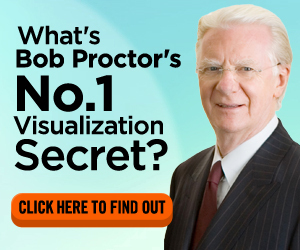 If you have been searching the internet for an easy way to meditate, then you have come to the right place. Whether you are a beginner and having difficulty quietening your mind or you have been meditating for some time but still cannot reach a deep meditative state, finding an easy and effortless way to meditate can be challenging. When most of us think of meditation, we tend to think of sitting in a yoga position in a dark room, in complete silence. While that may be how many people meditate, there are other ways that you may want to consider. Mindvalley’s meditation program, Omharmonics, is a technique that a lot of people are now using for a number of different reasons, but primarily as a way to make meditation more meaningful and easier to accomplish. So if you are looking for a technique to easily and effortlessly reach a deep meditative state, a meditation technique for dummies, then read on to learn how Omharmonics can help you. Omharmonics is an audio meditation program, developed by Mindvalley and downloaded by over 2 million people worldwide. The program uses an innovative blend of binaural beats, audible heart beat and breathing sounds, along with ambient sound technology to effortlessly guide you into a deep meditative state quickly. There are five different audio meditation tracks in the program, each available as a 30 minute and a 15 minute meditation session. The tracks are designed to target a specific outcome, so whether you want to start the day with positive energy, get inspiration, relax, prepare for a good nights sleep, improve your health, increase your energy or become happier, Omharmonics has a meditation session that will fit your goal. Not only does the Omharmonics meditation program teach you how to meditate, but it also provides you with the audio technology to take your meditation to the next level. If you have tried to meditate in the past on your own and found that you were unable to clear your mind or find a level of intense focus, then Omharmonics will show you how to do that with very little struggle or practice. One thing that is different about Mindvalley’s meditation program is that it is specifically designed to help get your mind and body into the best possible meditative zone as quickly as possible. So, unlike many other meditation programs, this does not take hours of your time every week. Omharmonics has been designed for busy people leading busy lives. In fact just 15 minutes of meditation a day using Omharmonics may be all that you need to experience all the benefits that meditation can give. 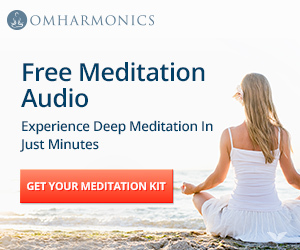 Can I Download A Free Omharmonics Meditation? When you go to the official Omharmonics website, you can sign up for a FREE 5 day meditation program that will be delivered directly to your email. What Are People Saying About The Omharmonics Program? When you read many of the Omharmonics reviews, it becomes obvious that people are using the program for a variety of different reasons, from becoming more relaxed and focused to increasing energy, athletic performance, and success. In short, there is almost no limit to the kind of changes that can be made through the use of the Omharmonics meditation technique. Almost some of the Omharmonics reviews that you read mention that people end up sharing the program with others as a way to help them improve their life as well. Is This The Right Kind Of Meditation Program For You? While some people use meditation as a way to calm the mind and get more in touch with their inner being, there are also many health benefits for those who meditate on a regular basis. When you read what people, who have used the Omharmonics meditation audio tracks are saying, you discover that these unique binaural audio programs can help you to overcome stress, boost your creativity, increase your health and overcome anxiety. Omharmonics is flexible and the five different meditation tracks have your day covered. So you can listen to all five in any day or just pick the most appropriate track for your particular goal in any moment. Omharmonics is an investment in your health, and one that has the potential to improve happiness. The 90 day guarantee means that you have nothing to lose if you wish to trial the program as you have a full 3 months to decide if it is the right meditation program for you. You can purchase Omharmonics from the official website. 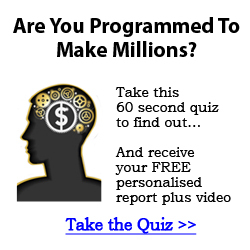 The program is sold with a 90 day money back guarantee. It is available as a digital download which can be loaded onto your computer, smart phone, iPod, tablet, iPad or any other portable device so that you can take your meditation sessions with you where ever you go. The meditations are also available as physical tracks.